Holly Grey joined the woman's group to keep her friend out of trouble - and now she's knee-deep in hassle, in the form of apocalyptic weather, armed men, midwifery - and a sarcastic Welsh journalist. Kai has been drawn to darkest Yorkshire by his desire to find out who he really is. What he hadn't bargained on was getting caught up in amateur magic and dealing with a bunch of women who are trying really hard to make their dreams come true. Review: Firstly, this is the second book I have devoured from Jane Lovering and yet again I am well and truly captivated. As you may remember when I read Vampire State Of Mind I was flitting from book to book and nothing was keeping my attention span until I started Jane's book. So when I was given the chance to read her latest offering I jumped right in with both feet. Almost instantly I was hooked by Holly's story, it's funny as I recently read a book about wishes, and this is what Hubble Bubble focuses on. Hubble Bubble had me captivated from beginning to end. Jane has managed to not only be comical but she has also added a slightly sinister twist to the tale. If you are not hanging on each and every word by the twists in this story then I seriously don't know what's wrong with you. A few of the twists are rather unexpected and full of such drama you'll be ooohing and awwwing as soon as they happen. Holly is an independent self-assured woman on the outside but is she hiding a secret on the inside??? Well I am not about to spoil that. Is magic real? Or is the belief and hope of wanting something so much the positive influence in changing your own fate and destiny. Holly is not the sort of woman who believes in magic, she goes along for the ride with her slightly crazy friend Megan but does Holly need change more than she knows. At first I really didn't know what to make of Kai but by the end of it I was cheering him on and also finding myself loving him just a little. It's funny people use the term 'Everything Happens For A Reason' a lot but we don't always know what that reason will be. Kai and Holly are so similar and that's where their bond is formed. 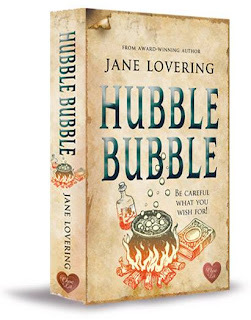 If you're looking for a comical read with a twist then I guarantee that Hubble Bubble is the best book for you. So thank you again to the lovely Choc Lit for providing me with a fantastic read. I shall be purchasing a Kindle by the end of the month and I know there will be lots of Choc Lit on there. 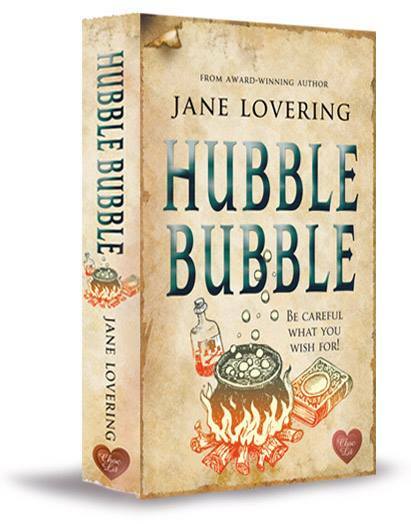 As I said on Jane's Q&A she will be providing us with a treat inspired from Hubble Bubble so watch this space.